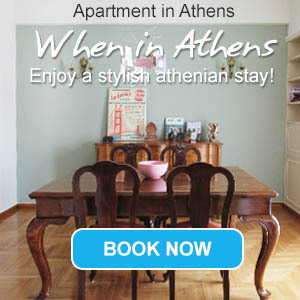 In the heart of this historic Greek town of Athens and its winding streets lie numerous churches of impressive architecture, dating back to 5th century. Most of the churches in Athens are well-preserved, decorated with rare frescoes and icons. A stroll around the center reveals the jewels of religious art and tradition. The Metropolis Cathedral of Athens is the spiritual center of Greek Orthodox and one of the most important holy sites in the city. It is dedicated to the Annunciation of the Virgin and its construction works begun in 1842. It is regarded as a masterpiece that contains three aisles, a dome, and two towers. Right next to the glorious building lies the small 12th-century church of Agios Eleftherios and it combines Romanesque and Byzantine styles. One of the finest examples of Byzantine monuments is Kapnikarea church standing in the middle of Ermou, the most famous commercial street in Athens. The church was built in 1050 over the ruins of an ancient church dedicated to Athena or Dimitra. The current construction is dedicated to the Annunciation of the Virgin and belongs to the University of Athens. On the slopes of Mt Hymettus, in the seclusion of an idyllic setting full of pine trees lies the Monastery of Kaisariani. Built in the 11th century, the monastery is dedicated to the Presentation of the Virgin. Of great interest are the frescoes painted in the 16th century by a monk from Mt. Athos. On the way to the top, you will meet other monasteries and churches including Agios Ioannis, Taxiarches, Agios Markos and Agios Georgios. One of the jewels of Athens is the tiny church of Panagia Hrysospiliotissa which lies hidden in the small cave behind the Theatre of Dionysus, in Acropolis. The chapel is quite inspiring and it is accessed through a rocky path. Other churches: the church of Agios Georgios and Agios Dionysios (Kolonaki), Agia Irini (downtown Athens), Agios Dimitrios (Filopapou Hill) and Agia Marina and the church of the Holy Apostles (Thission) are certainly worth seeing while you stroll around the center of the historical city. The Catholic Cathedral of Athens is dedicated to Agios Dionysios Areopagitis and is located right in Syntagma. It was built in 1844.